Pierre-Joseph Buc’hoz (1731–1807) was a French naturalist, physician, and lawyer. 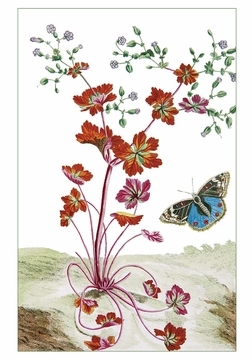 He published Collection precieuse et enluminée . . . in 1776, toward the end of the European chinoiserie movement. The two volumes of this rare publication feature elaborately colored plates that depict plants of China and Europe alongside birds, butterflies, and insects.